Flight booking is one of those things that has strangely become more complex as online tools and options multiply. Instead of just placing a reservation with a travel agent like they used to, people now spend hours and days searching and tracking airfares. If only there was an Amazon for flight booking — one dominant website where you know you’ll get good value. Alas, there’s no such thing. Each flight booking website has its own set of strengths and weaknesses. Which one to use depends on your itinerary and personal preferences. 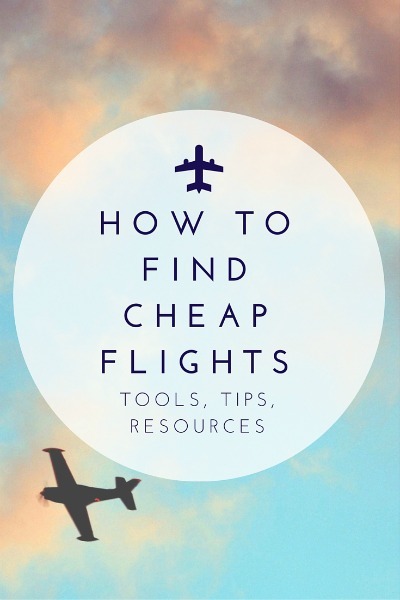 This guide will go through how to book cheap flights, showing you my favorite tricks, the websites I use and when to use them. Airfare prices are heavily influenced by the timing of the flight. Travel at the wrong time, and you may find yourself paying double what you could’ve paid if you were to travel at a different time of the year. Use Hopper to figure out the best days to fly for your particular flight route. You can also go to ITA Matrix to identify the cheapest date within a one-month window. You can’t book the flight on ITA Matrix, so once you identify the right flight, find it on a flight booking site or the airline website to book it. It seems like every week there’s a new study on the optimum time to book a flight. Some say it’s best to book 48 days before the trip, some say six weeks and still others say 3 p.m. ET on a Tuesday. I say it doesn’t matter. These studies deal with averages across all routes and all airlines. You will be booking a flight from a specific city to a specific destination on a specific date at a specific time of day. The results of these studies may not apply to your situation. Again, just use Hopper to figure out the best time to purchase your ticket. 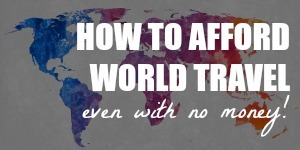 If you want to travel but don’t know where to go yet, use Kayak, Google Flights or FareCompare to view a worldwide map and see how much an airfare to any destination would cost. For multiple possible destinations, use ITA Matrix or Skyscanner. If you haven’t set your heart on a certain destination or certain dates, you’re in great position to take advantage of the best flight deals out there. Stalk your favorite airlines online on Twitter, Facebook and through their newsletters. Then, pounce when there’s a sale! How do you feel about buses/trains/boats? If you don’t absolutely have to fly to get there, use Rome2Rio to find other transport options. How much inconvenience are you willing to take on in order to get there more cheaply? If you don’t mind doing a bit more planning and waiting, book the different legs of your flights separately. For more ideas, read this post on how to take advantage of flexibility when booking a flight. Airlines have multiple airfare classes, even within the same cabin class and seat category. It’s all quite complicated, but the main thing you need to know is that it’s possible the airline only has one seat left at the lowest price point. If you’re booking for a few passengers, they may bump all of you up to a pricier airfare class. By searching for one passenger first, you’d see the cheapest airfare available. Most of the time, a round-trip ticket costs only slightly more than a one-way ticket. Sometimes, you can even find round-trip tickets that are cheaper than one-way tickets to the same destination. If that’s the case, why not buy a round-trip airfare and simply forfeit the return flight? Keep your eyes peeled for travel deals, discounts, sales, and coupon codes. Click here to see a list of ongoing promotions that I update regularly. Many booking sites don’t include budget airlines, so remember to visit their websites before you end your search. It’s very likely that they have the lowest airfares available, but check the fine print so you won’t be hit by outrageous fees. Here are some essential tips for finding, booking and flying discount airlines. If you put the charges on your credit card, you may get some insurance coverage and other protections. For example, if the airline company goes bust (it’s rare but it happens), you could get a refund from the credit card issuer. By paying in the website’s default currency, you’d prevent the website from making any currency conversion for you. 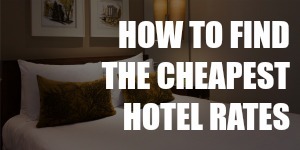 As a general rule, your credit card issuer usually gives you the best currency conversion rates. But before you pay in a foreign currency, check if your credit card charges any currency conversion fee — this fee could wipe out your savings. You know that annoying feeling when you buy something and the next day it’s on sale? Well, at least with airfares, there’s a way to avoid that. Yapta tracks flight prices so you could get refunds when they drop. Keep in mind that this only works for certain airlines and you may have to pay some fees. Step 1. 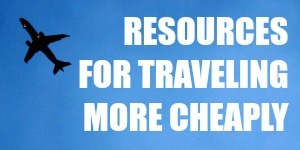 Check out the airfares on at least three websites. My first stop is usually CheapOair . Other great flight booking sites: , Vayama , Orbitz , Flight Network , Skyscanner, Expedia , Kayak, Momondo, Hipmunk and Travelocity. Step 2. Look for discount coupons online that you can use to lower the prices even more. Here’s a list of travel coupons that I update every couple of weeks. Step 3. Once you have the details of the cheapest airfare, go to the airline website to see if you can get lower prices by booking the flight directly with them. If you want more details about how to quickly book a flight, check out this post about my three-step booking process. What has your experience with cheapoair been like?? Hi Maddy, CheapOair finds great airfares. However, after finding a flight I usually book with the airline, just like I recommend here, so I don’t have any personal experience dealing with CheapOair beyond using it as a search engine. As far as I know, CheapOair is a legitimate company with good reputation. The only thing I hate about the cheap flights are the stopovers of 5 hours plus…..and the change of itinerary when booking months in advance, it seemed like a good flight when you book it but now all the times have changed and you are now waiting longer for the connecting flight….Jetstar do this all the time…..
We’re always up for a cheap flight. Some of the sites you’ve mentioned to book flights, we haven’t heard before. So we will try booking through them in the future. It always feels great to know that you are saving money just from booking your trips. Thanks for sharing.